Now we are in December we feel it is officially ok to talk about Christmas! 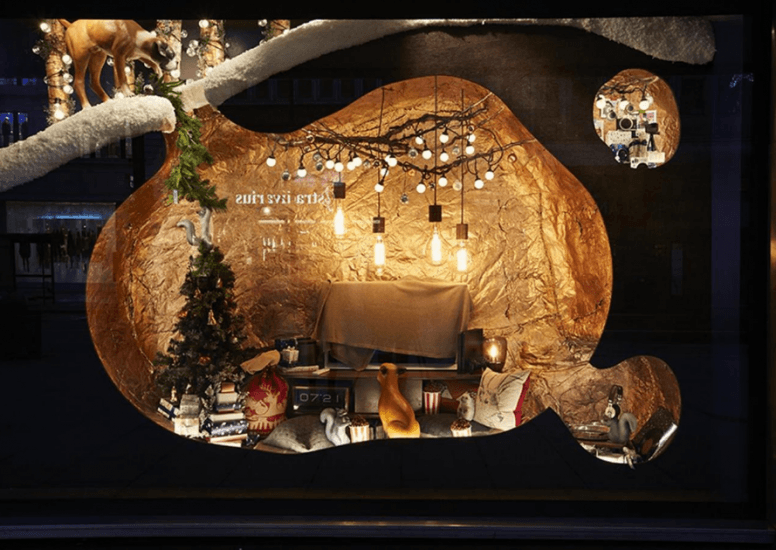 Or Christmas window displays to be more specific. And retailers have not disappointed us this year with their extremely festive displays! It’s safe to say, there is a wide variety of themes seen on the London high streets this year. 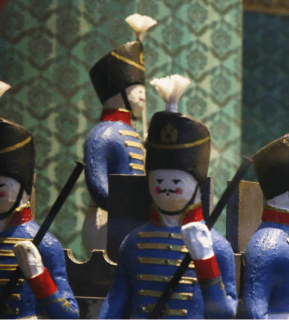 Liberty of London have partnered up with The Royal Ballet to bring the Nutcracker to life in each of their windows, showcasing wood carved ballerinas and toy soldiers. Featuring no merchandise, these windows have been designed purely to create a wonderful and memorable experience for shoppers. The movement, the intricate details and the festive aesthetic makes Carnaby street shoppers stop and watch! 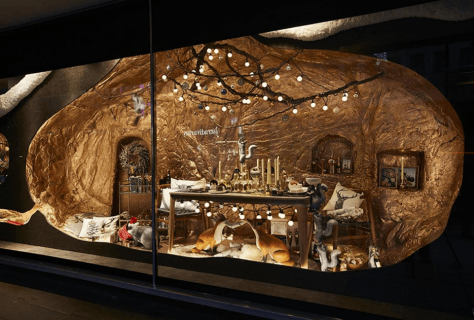 Selfridges have chosen a very different approach for their windows this year with a “Santa getting up to all sorts of magical mischief” theme. The windows feature Santa dancing on tables, disco balls and bottles of fizz – a regular Christmas party if you ask us! 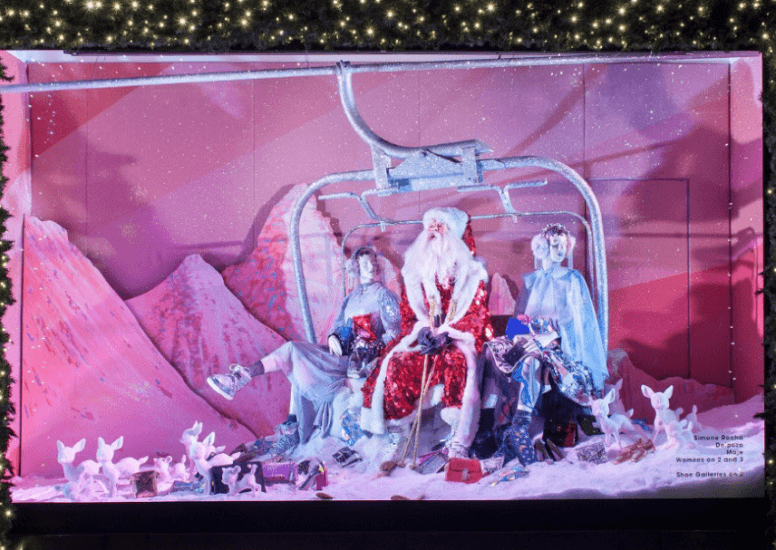 One window even features Santa in a sequined red suit, on a ski lift! 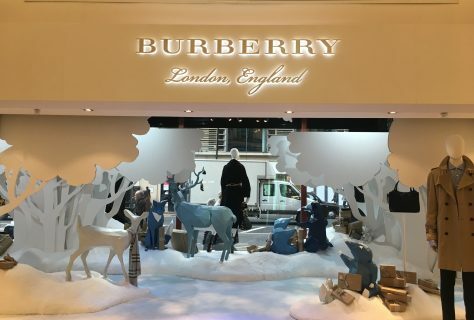 This year has seen Harrods team up with Burberry to create their “A very British fairy tale” windows. The windows tell a story of 2 children on an adventure around a snowy country house. The theme takes over the vast amount of Harrods windows where floating bathtubs and flying cars can be seen. 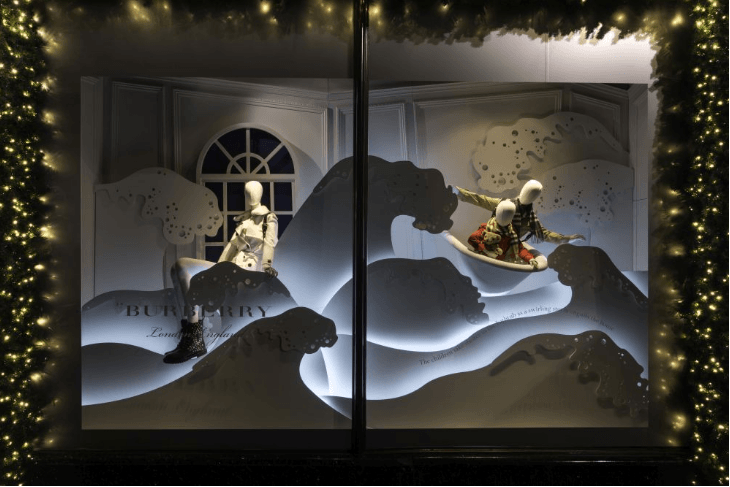 The Harrods windows also feature motion sensors which allow visitors to experiment with the music and lighting. 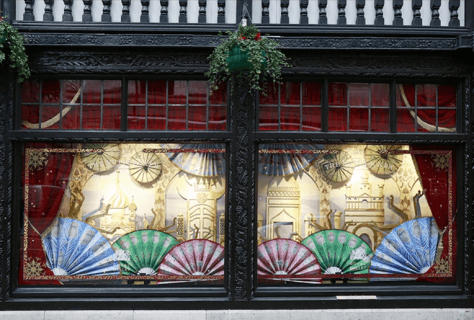 Fortnum and Mason have opted for an entirely different theme for this year’s window display. Created following the Brexit Referendum and US Presidential election – two political events which have divided nations quite spectacularly – F&M’s festive display is bang on topic with the title ‘Together We’re Merrier’. 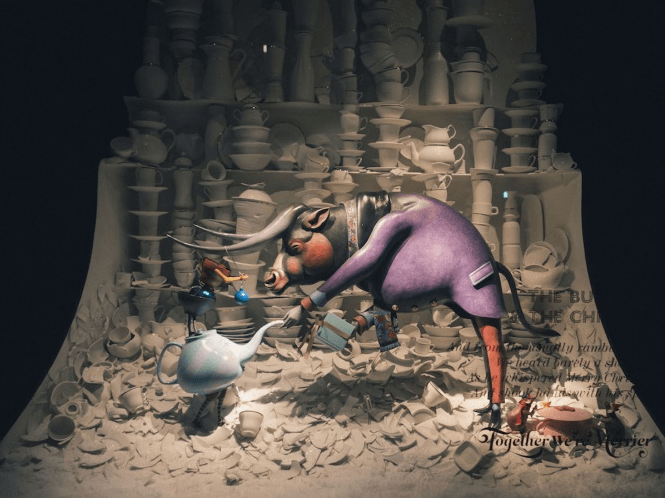 Hoping to portray a time of togetherness at a tough time across the world, their window displays feature unlikely partnerships such as The Butcher and The Turkey or The Boy and The Brussel Sprouts! With the events of 2016, this window is the perfect choice for coming together and celebrating at Christmas; honing in on the decisions which have been made without delving into political bias. Finally, John Lewis. 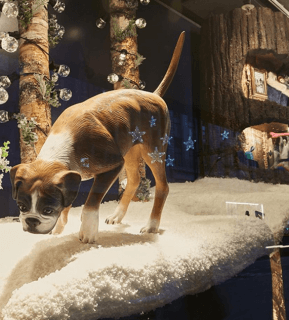 Their window display, of course, is based on their Christmas advert: Buster the dog. 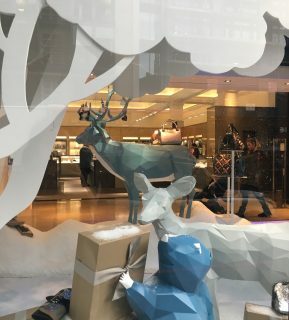 The store window features various woodland creatures in burrows with presents and Buster on a snow-covered lawn above them trying to get a peek at the individual gifts. With John Lewis adverts sure to be a big hit year on year, we suspect this to be one of the busiest window displays in London town. 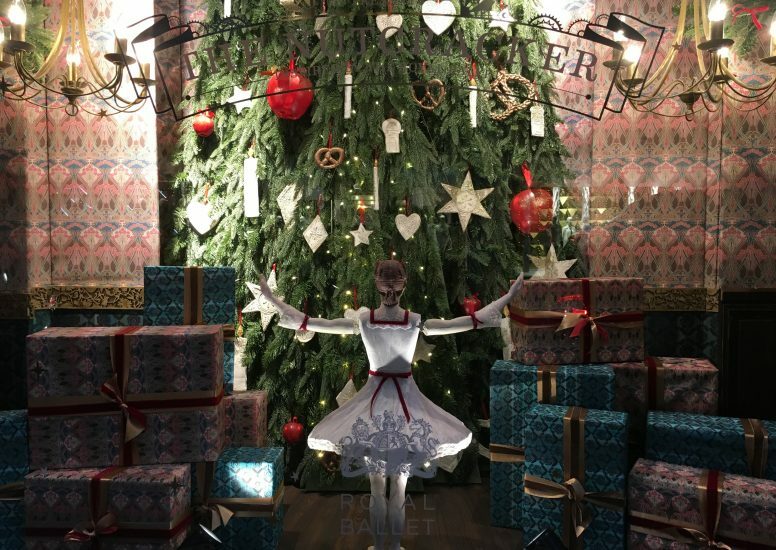 We don’t know about you, but London’s Christmas windows definitely got us into the festive spirit!